EasySendy Pro enables you to create and send out SMS Campaigns via Twilio and Plivo SMS gateways. Embracing the potential of mobile phones, EasySendy Pro allows the API integration of these two platforms seamlessly. Set up accounts on any of the platforms you wish to use, purchase the number of SMS you wish to send, and start using it for your SMS Campaign within the EasySendy Pro dashboard. Send bulk SMS without any delay or failure in your SMS Campaign delivery. Apart from this, now you can also schedule automated responses to your SMS campaign based on the engagement and keywords used. EasySendy Pro Bulk SMS Campaign Sender makes it easy for you to send SMS to your clients, customers and/or team members right from your computer. It is a two way leading SMS communication that happens here. A versatile and easy to use application design is used to make bulk SMS sending to any number across the world seamless. It is not mandatory to create and send SMS campaign exactly on the day you want the campaign to get launched. Schedule your SMS campaign ahead of time with the Bulk SMS Scheduler feature in EasySendy Pro. Use the campaign calendar to schedule your campaign on a particular date in the future. 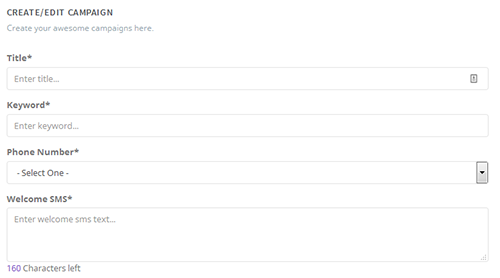 You can have a detailed overview of all the saved campaigns and easily make edits anytime before the campaign gets launched as scheduled. No more manual slogging. You can schedule auto-responders for your SMS Campaign to follow up with your clients and list of customers. You can schedule the auto-responder along with the date and time for the same to get launched. You can define your audience who will receive the auto-responders. EasySendy Pro offers the feasibility of uploading a .csv file containing subscribers list. 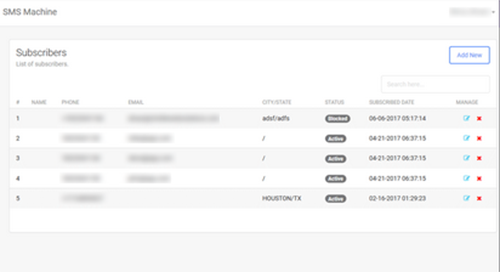 You can start sending SMS campaigns after you are done uploading the .csv files. You can either schedule your messages or send it instantly in a click. Offer your recipients the freedom to opt-out or opt-in for your SMS campaign at their own discreet. They can look up for a particular keyword and opt-in or opt-out from the campaign list. While EasySendy Pro allows you to create keyword-oriented SMS campaigns, it also give your recipients an option to make a choice. It goes without saying that every activity happening on the EasySendy Pro Bulk SMS dashboard is recorded and reported for further analysis. Be it the scheduled messages or forwarded campaigns, you can pull out details of every campaign containing information about the recipient, the location, date, time, and more. Get your hands on the complete record, workflow, order management, analytics, and comprehensive reports with the Analytics and Reporting System. Know what helped your SMS campaign spike up and how. EasySendy Pro offers the feasibility to perform multiple operations at one-go to the admin and clients. Know every detail about each SMS campaign that you have launched from the SMS history feature. This feature enables you to find out the date, time, number and recipient details, and the replies you received in your history log. No more missing out on any information. You can send your SMS campaign from your mobile phones or PC. All you need to do is, draft every thing like the message, the number, the custom phone number, time and date. Once you have saved the details, you can hit the send button either from your phone or PC. EasySendy Pro brings Double opt-in/opt-out feature to give your SMS subscribers the luxury of deciding to stay or make an exit from any SMS campaign they don’t like. Having Opt-in / Opt-out SMS List Management feature saves your brand reputation from the threat of SMS spam and gives the power in hand of the subscriber to decide whether they want to receive SMS or not. EasySendy Pro SMS subscription web forms work as a gateway to SMS list. 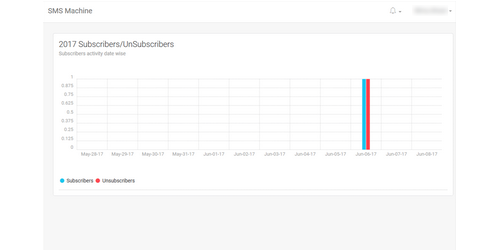 EasySendy Pro Bulk SMS Marketing App has made it easy for you to create subscription forms so that your subscribers can easily subscribe to SMS campaigns from the website. The ‘Subscribe vis Keyword’ feature allows your customers to identify the actual purpose of your SMS Campaign. They can subscribe to any keyword and receive notifications about campaigns that contain that particular keyword. EasySendy Pro Bulk SMS Sender integrates with Twilio and Plivo SMS sending gateways to deliver SMS campaigns. When you click on ‘send SMS’, a request is forwarded to Twilio or Plivo instantly to send the message to the given subscriber number. 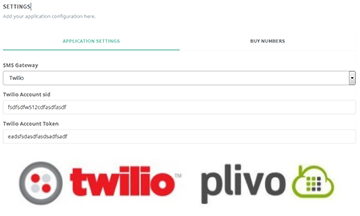 You can send and receive messages from any number across the globe via Twilio or Plivo.